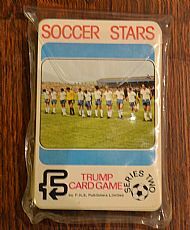 Here's one right from my teenage years - the 1978 FKS Soccer Stars trumps game. 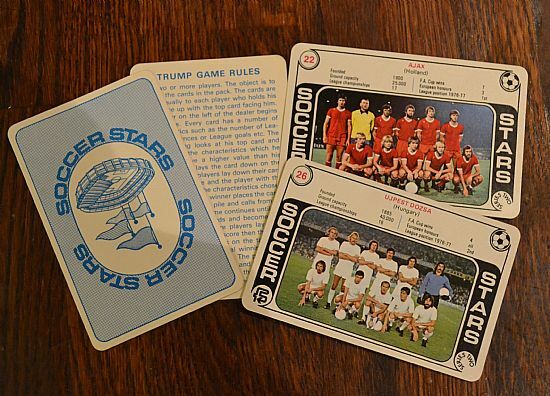 Set 1 was players and set 2 was the beautiful team groups version - but where were St Etienne? As you can see all the top teams were included - but also Bristol City and Arsenal who appeared alongside Bayern, Real, Barcelona, Liverpool, Ajax, Juventus. Quite bizarre! 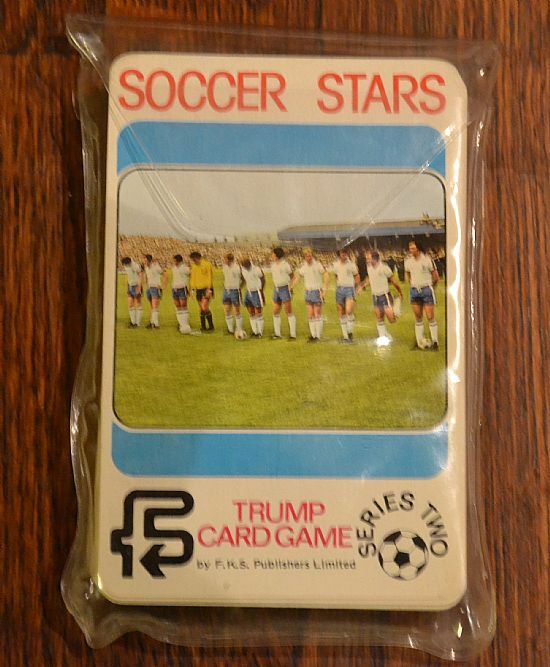 No nonsense set of 32 trumps cards in clear wallet. 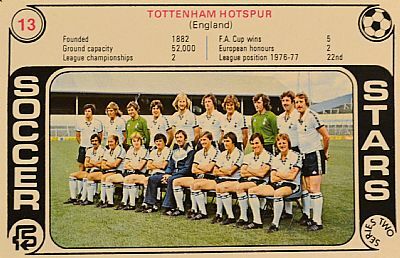 Cracking team group photos and loads of useless stats. I adored this set. Ujpest Dozsa almost cause an upset - going down 17-16 to Ajax on titles won. 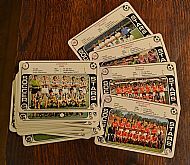 All the top teams from 1978 plus Bristol City! 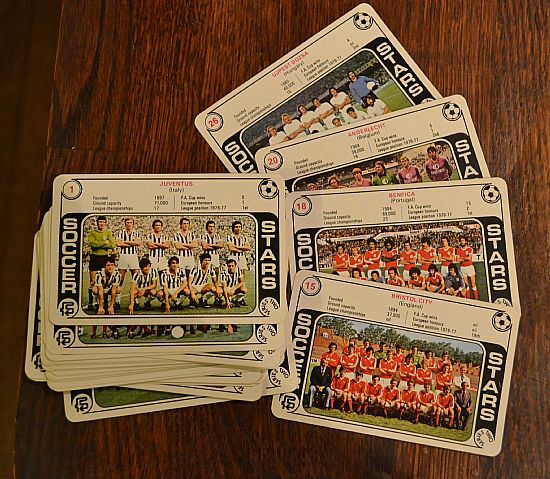 No St Etienne or the Italian Milan clubs.